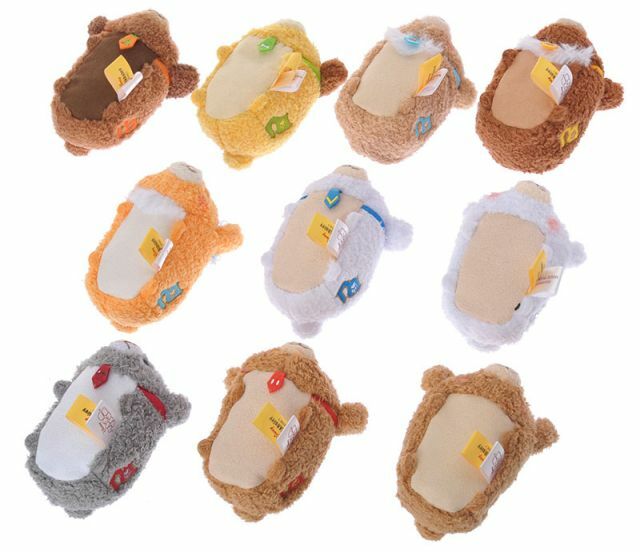 Arguably more popular than tsums, the long overdue Unibear tsums finally arrive in stores on December 9th. The tsums come in 3 forms, individual tsums, a box set, and two mediums. Only Mickey and Minnie are sold as medium plushes. 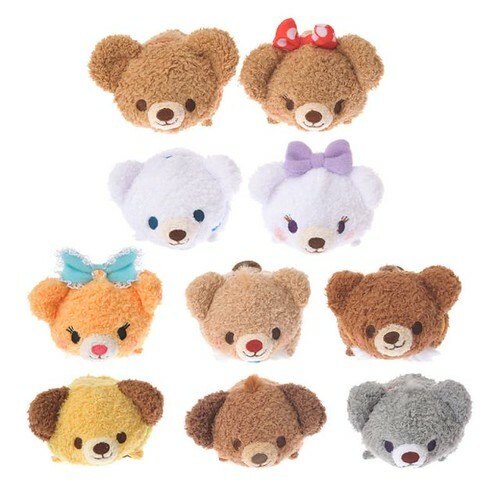 Mickey, Minnie, Donald, Daisy, and Chip & Dale are all available as individually sold mini tsums as well as part of the box set. The bottom four tsums of Pluto, Clarice, Pete and Goofy are exclusive to the box set. The box set retails for 6,480 yen. 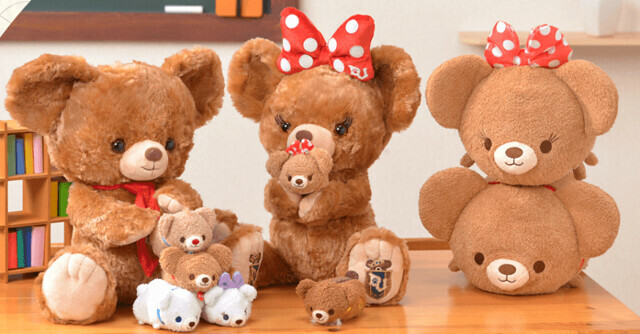 You can see the initials “DU” on their sides which stands for “Disney University”, as these bears are meant to be the mascot of the school. You can also see that all the girls have a ribbon atop their heads. All of the boys sport neckties. Their tiny neckties have a small design meant to be fashioned after their Disney character. Mickey’s, for instance, has the two white buttons of his shorts; Donald’s yellow stripe takes after the lining of his sailor collar. 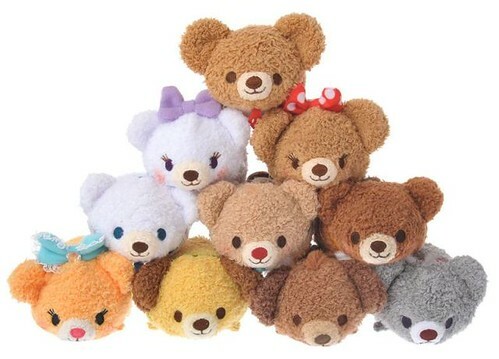 All the Unibear tsums are made from a very soft and fluffy material. 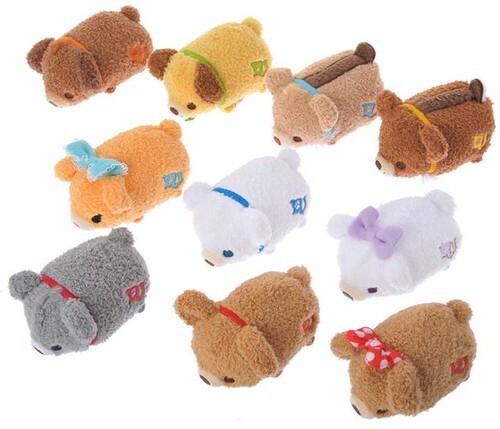 Probably most similar to Bianca and Bernard mini tsums, only with longer fabric fluff. 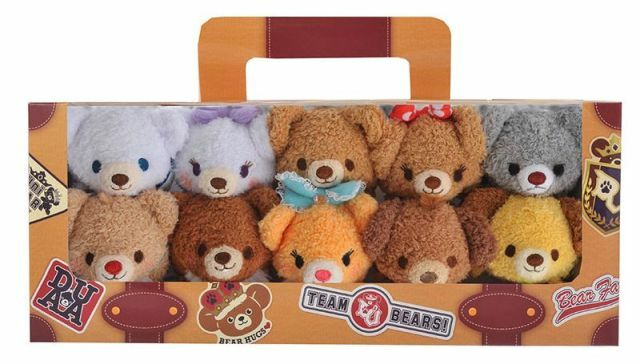 It’s only a matter of time before these little bears make their way into hearts worldwide.